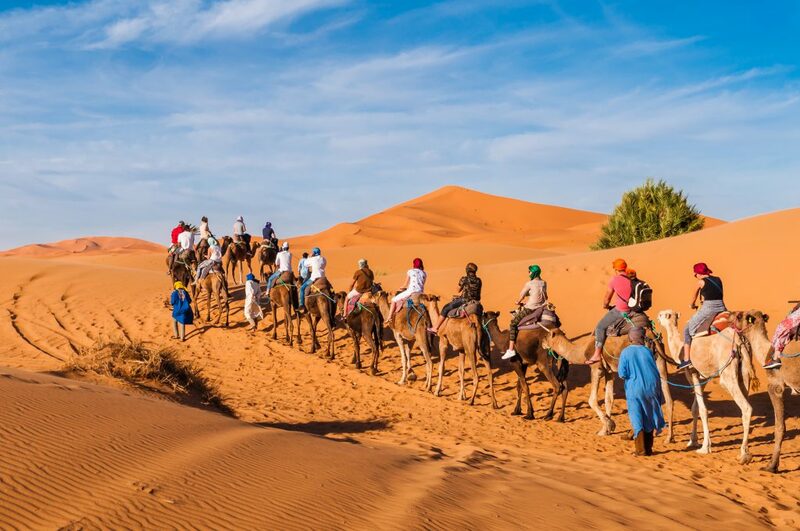 The Arabic Language & Community Service Program is designed to take participants on a discovery of Moroccan hospitality and its cultural diversity within ancient cities and in the heart of Berber villages in the Atlas Mountains. The goal of this program is to bring a sense of global social responsibility through community service and interaction with local communities. A core component of this program is an Arabic language class that the participants will attend to daily. Throughout the program, participants will also practice speaking Arabic with their host-family members and friends, as well as engage in panel discussions with Moroccan students and guest speakers. In the program, participants will take part in and contribute to a number of community service projects such as building irrigation canals in remote villages, planting trees, and teaching English to low-income students. Service projects will take place in both urban and rural locales with Moroccan students and community leaders. In addition to these leadership activities, a portion of the program will include a variety of captivating excursions and experiences. “Sefrou gave me one of my fondest memories of my time in Morocco. We arrived at the home of our host family in the dark and pouring rain. Our host family immediately made sure we were warm by greeting us with blankets and serving us a hot meal so clearly prepared with love. With no common language spoken between us, we shared in laughter and stories told through expression and joy. Yet to meet another family so welcoming!” Leanne Gilardi, Champlain College, Vermont.